Mitch Hammer #3 – COMING SOON! The conclusion to the bone-splitting, chaw-chewing, mutant construction worker mini-series, coming soon to Kickstarter! Here are the first 9 pages of KARMA POLICE, issue 1. Story by Chris Lewis, art by Tony Gregori, colors by Jasen Smith, letters by Nic J. Shaw. 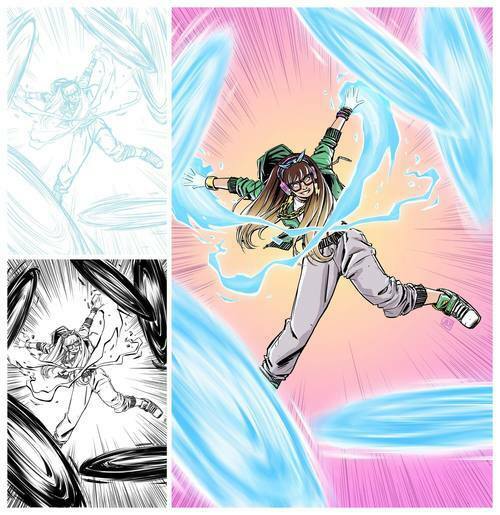 Issues 1 and 2 available on Comixology. Kickstarter coming soon!